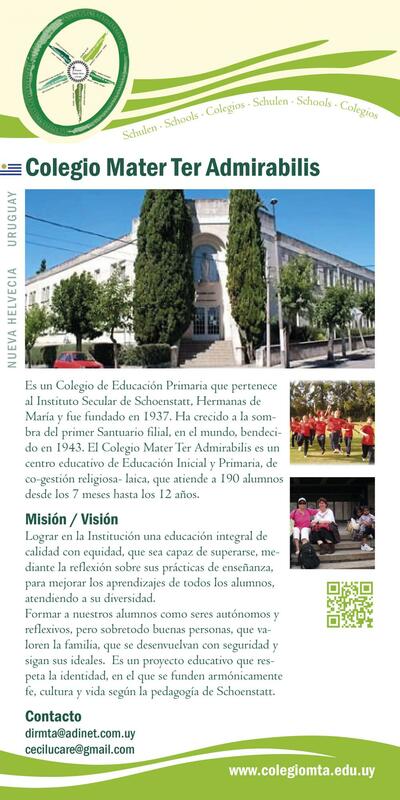 This is a primary school founded by the Schoenstatt Sisters of Mary in 1937. It is an educational institution that takes in pre-school and primary school children. It co-operates with the state and owned by the Church. It cares for 190 children from the age of 7 months to 12 years (6th year). It aims at offering an holistic education that enables the children to think and act for themselves. In particular it wants to form people with ethical and moral values. In the spirit of Schoenstatt‘s pedagogy its aim is to strengthen the students in their original identity.